Brooke Blomker has been a HR Business Partner with Endeavor schools since 2017. In her role, she oversees all HR processes for the midwest region, including payroll, staffing, performance management, and employee engagement. 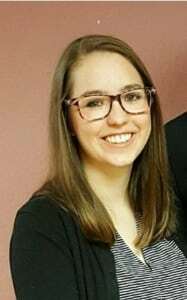 Brooke graduated from Gustavus Adolphus College in 2014, going on to earn her master’s degree in developmental psychology from the University of Alabama. Prior to joining Endeavor, Brooke worked in early childhood education as a teacher, then as a school director and staffing coordinator. Brooke currently resides in Elk River with her husband and son.